H.E. 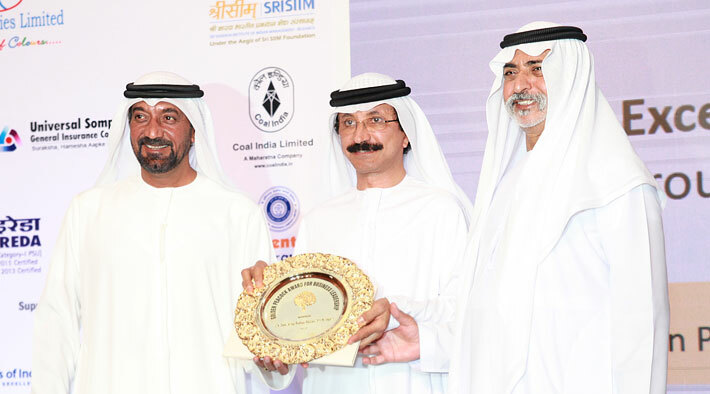 Sultan Ahmed Bin Sulayem is Group Chairman and Chief Executive Officer of DP World and Chairman of Ports, Customs & Free Trade Zone Corporation. He is one of UAE's leading industrialists, a true pioneer. His rare expertise and visionary leadership spearheaded the rapid expansion of Dubai's infrastructure, including ports and free trade zones, contributing significantly to the United Arab Emirates emerging as the hub of industry & commerce not only in UAE but the entire Middle-East. He is also a leader in developing the infrastructure supporting Dubai's phenomenal tourism industry. His major achievements include leading 'marine terminal operator' DP World's expansion internationally, including the purchase of the P&O group for US$7 billion in 2006. It propelled DP World as one of the largest global port operators and trade enablers in the world, with 78 marine and inland terminals in six continents. He has emerged as a global player now. He did the rapid development of the Jebel Ali Free Zone (Jafza) into an unrivalled business park of more than 7300 companies. He established and nurtured Nakheel, a real estate and tourism property development firm that has created many iconic Dubai projects including The Palm, the world's largest manmade island. He established Istithmar World, a major investment house focusing on private equity with a portfolio of investments in diverse sectors across North America, Europe, Asia and the Middle East including retail, financial services, industry, tourism and hospitality and healthcare. H.E. is a highly qualified professional, a graduate in Economics from Temple University, Philadelphia, USA. A leader of global vision, he has done UAE proud and securely placed it on a global map. He is fully qualified to now enter the Guinness Book of World Records.